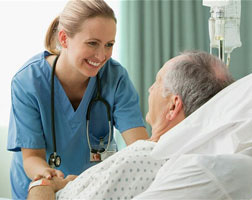 He is a registered nurse with eight years of experience in the field. With this experience he has developed the particular ability to be a leader and a team player in order to provide good quality nursing care to our patients and clients. Working at Tawam Hospital, he used this skill to impart what he has developed and to learn new knowledge for his personal and professional growth. His tangential background as a Leadership awardee was to lead and develop a group of professionals with a mindset of "team work" as a core value and the ability to work under pressure This skill is a reflection on the fact that he is comfortable in working with a team, be it spearheading or being a subordinate, and that possess a work ethic that is second to none. These assets paired with a recognized record of excellence in both his academia and professional work history makes him suitable contribute in the success of company.